Bring some interest to your smart casual outfits. 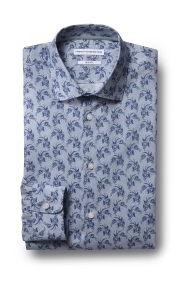 Featuring a paisley print in an up-to-date geometric design, this shirt has personality while still hitting the smart criteria. It’s cut in French Connection’s slim fit, giving you definition through your waist without feeling restrictive. With a classic collar, single cuffs and long sleeves, it’s easy to wear, and the 100% cotton ensures it’s comfortable too. 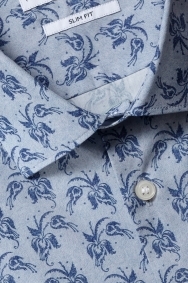 Pair with a navy suit or chinos, depending on how smart or casual you want to look.